What Will The Office Space of The Future Look Like? Offices are generally an innovation of the 20th century with the progression of the Industrial Revolution when employees worked to build products in factories to the offices which needed to support the growing companies as they developed from cottage industries to large corporations. The support (ie. finance, accounting, human resources, management) requires a different environment than the factory floor. The typical office of the 20th century emerged mid century with the development of cubicles by Robert Propst (Cubicle – Wikipedia). The cubicle was a utilitarian approach to manage employees in an environment which could be efficient and easily manageable. Essentially the cubicle environment became the factory floor for the white collar work force. A half century has passed since the emergence of the cubicle and a new generation is entering the workforce, but the former requirement for office space is no longer necessary as a lot of the rudimentary tasks have been automated or augmented by technology which requires a leaner staff for operations. It has become apparent that companies are requiring employees to be more creative thinkers since they are no longer required to preform simple rudimentary tasks. In order to leverage the ability of a new workforce, a new style of office space is evolving to accommodate, reinforce, and augment the new office tenant. 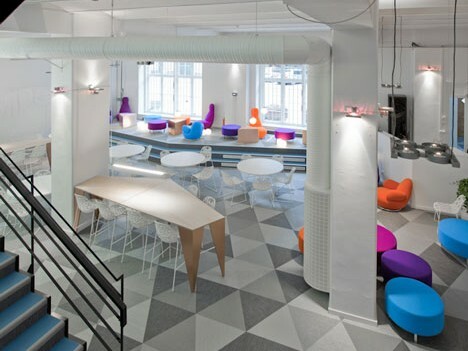 (Co-Working Office Space – PSFK). Advancements in technology and the internet no longer require employees to be chained to a specific desk, cubicle, or office, but allow workers to work where they prefer. Although this approach makes it more difficult to manage employees, however the new work place creates an open environment to allow employees to interact and spontaneously generate new ideas and allow individuals to aid each other in their tasks. Additionally the new office environments seem to mimic a standard living room or more notably a place where employees can feel comfortable in their environment to reduce stress therefore allowing employees to be more efficient. Skype’s new office (Skype’s New Office – Dezeen) breaks the cubicle mold and utilitarian design by creating open collaboration environments and space which looks similar to one’s living room. Perhaps this is an attempt to support the new workforce or its a reaction to lure the smartest millennial to their company by creating an environment which feels like a home and feels less like work. Perhaps the millennial will be willing to spend more of their time working in this type of environment. Society M (Society M Co-Working – PSFK) capitalizes on the new workforce by creating a welcoming environment but also individuals working for many different companies to interact and potentially benefit from sharing information or helping one another. As Starbucks has become the de facto office for the untethered workforce, Society M copies the allure of Starbucks and creates a place where people will have a guaranteed place to work. What will become of our nation’s retail space? The Wall Street Journal reported a few days ago that retailers are shrinking their store footprints due to an increasing pressure of reduced sales caused by an increase of online purchases. The decline will continue for many retailers, but will affect a greater number of retail spaces outside of major urban centers. Retailers will retain brick and mortar outlets in urban cores to act as an extension of their brand for advertising purposes and to serve as a showroom for their customers to experience products before they are purchased online. Retail locations across the country will gradually shift to rely on service industry tenants (barber shop, nail salon, astrologists, etc.) As the new generation’s disposable income increases, there will be a greater increase of purchases online due to a level of comfort with the Internet. Simultaneously as the baby boomers age they will find a greater convenience to order products from the Internet due to limited mobility. Bank of America Plans Layoffs of 2,000 Staff – Harbinger of Declining Value? It was reported yesterday in the WSJ that Bank of America plans to layoff 2,000 employees. The layoffs are planned to be from the investment banking group and highly paid employees. Bank of America will experience short term gains by reducing headcount, but the long term implications may not bode well for the bank. BOA cost cutting measures can be compared to similar tactics conceived by former consumer electronics giant, Circuit City. Circuit City was a market leader and was known for paying its employees based on commission, hired staff that was knowledgeable about the products, and paid employees higher than its competitor, Best Buy. When Circuit City pursued cost cutting measures, they first reduced the headcount of their highest paid employees which resulted in short term savings. Those short-term savings did not last, and the decrease of knowledgeable employees resulted in fewer sales, and ultimately bankruptcy. 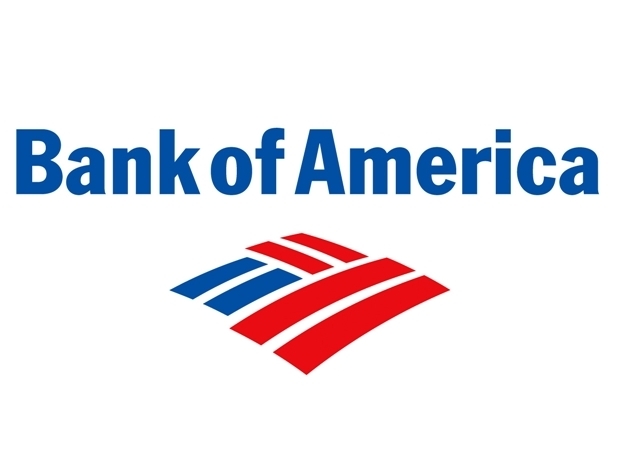 Could Bank of America be heading towards a similar fate? There’s a reason why some employees are compensated better than the others, they either know more ore attract customers. By layingoff the top earners there is the potential that they will take their clients and run to other banks. It’s probable that the level of professionalism at BOA will substantially drop and cause a precipitous decline of profits which would have all been for the benefit of boosting a single quarter’s results. 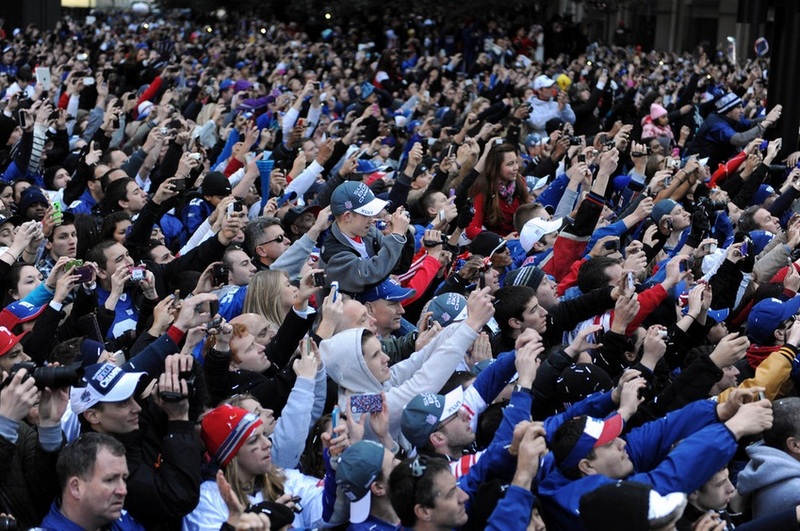 Is anyone else disturbed that all the people in this picture are attempting to take a picture of the Giants Parade with their smart phones? Can they not enjoy the moment and relish the experience, or does their experience only exist once they upload their new photo of the parade to Facebook? The crowd seems to foretell the future, but how will our future of experience pan out? It seems that we will stream our lives to the world through our smart phones or other accessory devices; maybe the crowd would share their experience and prove their attendance through GPS tracking? I’m sure we will realize the future of sharing ours experiences within the next 5 years opposed the the experience of having to share pictures. Have you noticed that more workstations int he workplace rock the dual monitors? I work in commercial real estate and check out a lot of office space, and over time I’ve realized that multiple monitors at a single workstation have been increasing. I’ve been using a dual monitor setup for at least 10 years now, and I don’t know what I’d do without it. It does make me wonder why in this age we are still working on dual monitors and why no company has introduced just one large monitor. The desire for more monitors arises from the necessity for greater screen real estate on which to work and preform multiple tasks. Why don’t have just one large monitor? It seems inefficient to have to setup multiple monitors instead of one large continuous screen. Perhaps modern user interfaces have not yet advanced to a point to where they can provide a system to meet our needs. I’m envisioning a future similar to Tom Cruise interfacing with a large screen in Minority Report. Additionally our desks will become touchscreens and we will no longer have piles of papers on our desks. The United States Postal Service issued a warning last week that it could declare bankruptcy due to its declining revenues and rising costs. The rising costs of USPS are primarily due to employee compensation which can be attributed to 80% of its operating costs which differs from the 30% employee costs of both FedEx and UPS. It seems that the private mail carriers have better operations. This may be true, but the real value of FedEx and UPS will be their future earnings relating an increase in goods purchased over the internet. Internet purchases will increase as the household income of the millenials increases. Retail sales will rely less on the baby boomers who are no too savvy with computers, but still contribute a majority of retail sales. 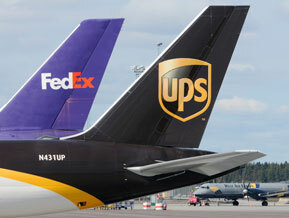 FedEx and UPS will provide the delivery for the purchases over the internet which will increase substantially with the disposable income of the new generation and the ability and ease of which the new generation takes to making purchases online as it is found to be more convenient. just as the new generation requires instant gratification, brick and mortar retail will adapt as well by shipping their shelf goods by FedEx and UPS as a faster means than freight shipping, and will ship smaller and more frequent deliveries as we’ve seen Zara of the Spanish based Inditex do to differentiate themselves from their peers. Zara’s concept of Fast Fashion are new styles that are delivered to stores biweekly and in limited numbers. The constant shippment of goods through FedEx and UPS will add up as other retailers come to adopt this method of service. Why is India making it difficult for Google to add its streets to street view? India has stopped Google from continuing its process of mapping and imaging its street for Google Street view although many other countries have allowed Google to proceed with the process of visually mapping streets. India has proposed a myriad of reasons against Google to proceed and all of which I do not believe are their main cause for concern. If Google were to map the streets of India then the world would be easily be able to access and see the terrible living conditions of a large portion of India’s population. India may be trying to protect its image by stopping the digitization of its urban slums. It may be possible that India’s leaders fear a fallout from the visual mapping and that the rest of the world will look differently upon India as a place for investment and business.